Let us do the work to keep your household hydrated! Water dispensers with 3- and 5-gallon bottled water. Bottled water is a perk every home should enjoy with easy, affordable and convenient delivery on a regular schedule. DS Services® offers many different stylish water coolers and water types – from Spring Water to Purified Water – we have you covered based on your tastes and needs. Let DS Services® take care of the heavy items and deliver these bottles right to your door! Sign up for DS Services 3- or 5-gallon bottled water delivery service. 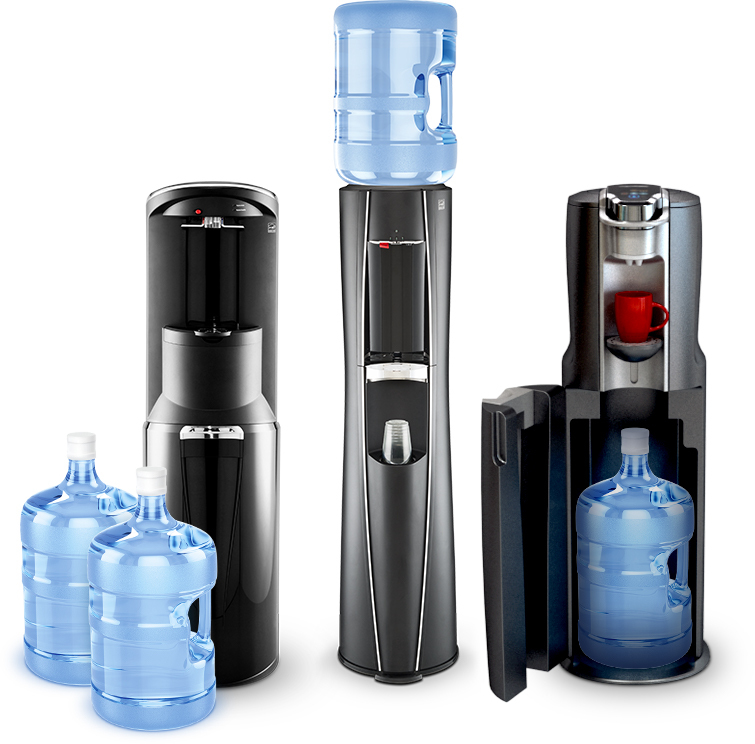 Make sure you also check out our latest AquaCafé® unit, a coffee K-Cup® brewer and bottled water cooler all in one! The 3– or 5–gallon bottles fit in this unique bottom-load cooler; it's the perfect addition to any kitchen. AquaCafe® is a registered trademark of MTN Products. 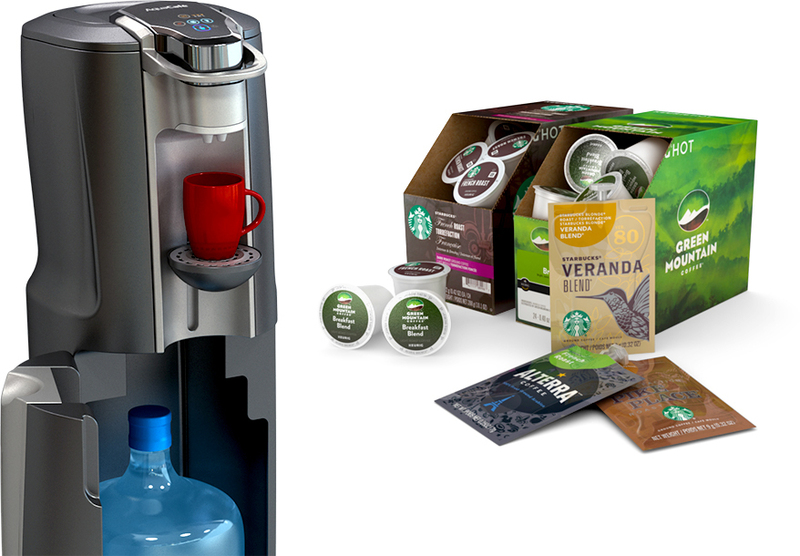 K-Cup® is a registered trademark of Keurig Green Mountain, Inc.
Let DS Services® take care of stocking up your house with convenient single-serve sizes of your favorite bottled water. They are perfect for on the go and, again, delivered right to your home! We offer all of your favorite DS Services bottled water in single-serve sizes along with premium water brands like VOSS® and FIJI® in a variety of packages. Add the perfect pack to your delivery order today! FIJI® water is a registered trademark of a third party. VOSS® Water is a registered trademark of a third party. Who doesn't like a fresh cup of coffee every morning? DS Services® also delivers a wide variety of K-Cup® pod offerings from Starbucks® coffee to our own delicious Javarama® K-Cup® pods. One less item off your "to-do" list! Plus, with our new AquaCafé® unit, you can get a great cup of coffee along with cold, refreshing water from one unit! Make sure to add it to your home delivery today! AquaCafé® is a registered trademark of MTN Products. Don't just stop at bottled water and coffee for your home. 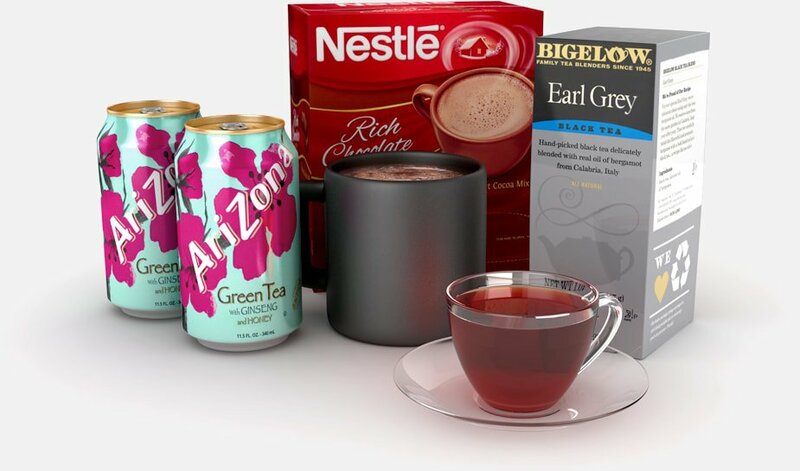 Make sure you complete your pantry by adding tea (hot or cold! ), hot chocolate, lemonade and more. Talk with a customer service representative about building a custom drink delivery order for your home today. AriZona®, Bigelow® and Nestlé® are registered trademarks of third parties. Browse from a wide selection of products like bottled water, coffee, tea, hot chocolate and much more! Use our assortment of products and equipment to build a customizable menu to fit your needs. *Delivery schedule subject to availability in your market.